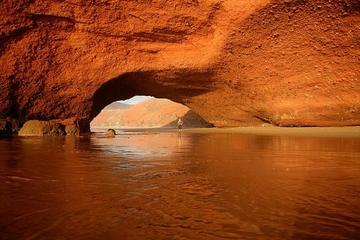 The big name cities like Agadir, Essaouira and obviously Marrakech are well known and sought out. 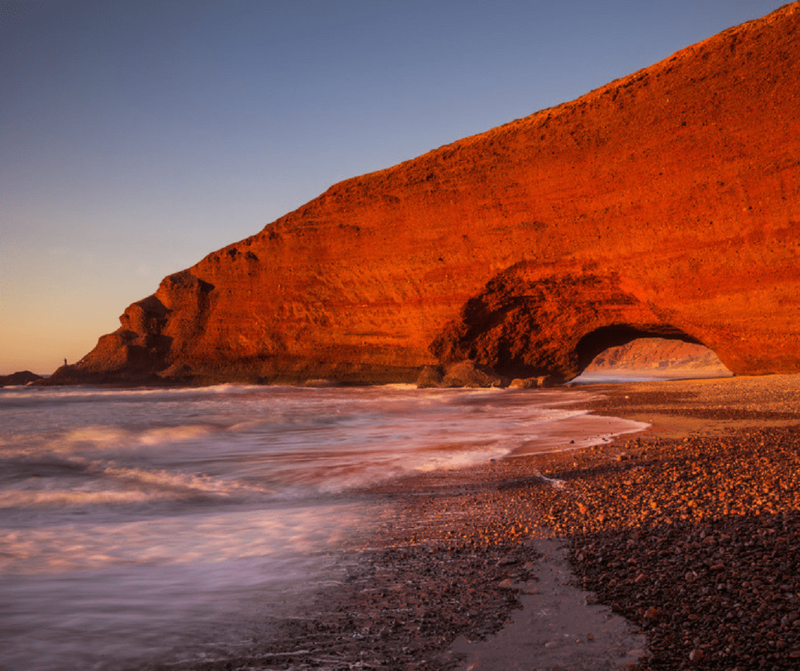 Don’t get me wrong, those are all beautiful cities, but what if I tell you that you can take your holidays up a notch in two hours south of Agadir and experience the true magic of Morocco? Mirleft is a small Berber town where ocean meets the mountains, where humbleness meets enchantment and where time cease to exist. 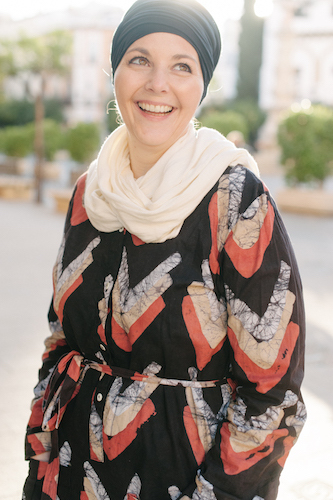 Visiting Mirleft 25 years ago or visiting Morocco today will evoke the same untouchable feelings. It’s a place that has been left untouched by time and a wonderful place to get away from it all. The town is very laid back. Many French and Germans came to visit in the late 80’s and chose to call it home by investing in hotels, restaurants and guest houses. 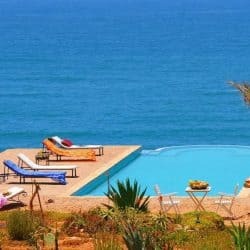 Only two hours south of Agadir, benefiting from all year round agreeable weather, Sidi Ifni is the perfect get away for all bohemian lovers. A Berber town full of history and modesty. Sidi Ifni was the last city surrendered by the Spanish colonisation in 1969. The impact of it all is very fresh and can be felt the moment you enter the city. You sens it from the locals who will greet you with a Holla! Instead of Bonjour. You will hear the Spanish music in every corner. Cafes full of electrified young men watching the Spanish football league. The alluring architecture captivates the visitors. 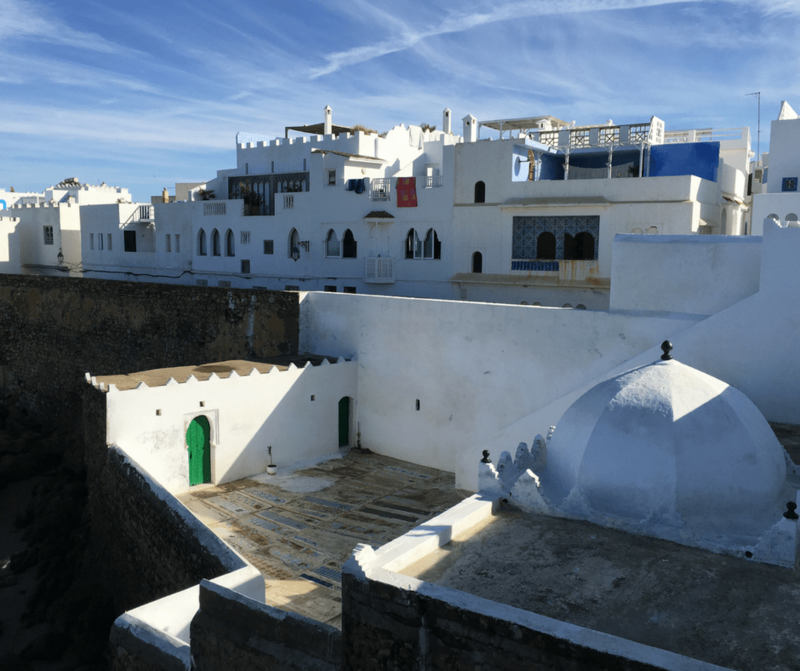 Sidi Ifni tells its story by the white and blue faded walls, the artistic doors and the stunning hilly Medina. Reaching these cities will take a little planning. The best way to do so is via a private vehicle. You can either rent a car and drive yourself or hire a driver to take you. It’s also a popular spot for RV owners to visit. If you plan to visit beaches in nearby communities or just get around in general than having your own vehicle will really be the best way. 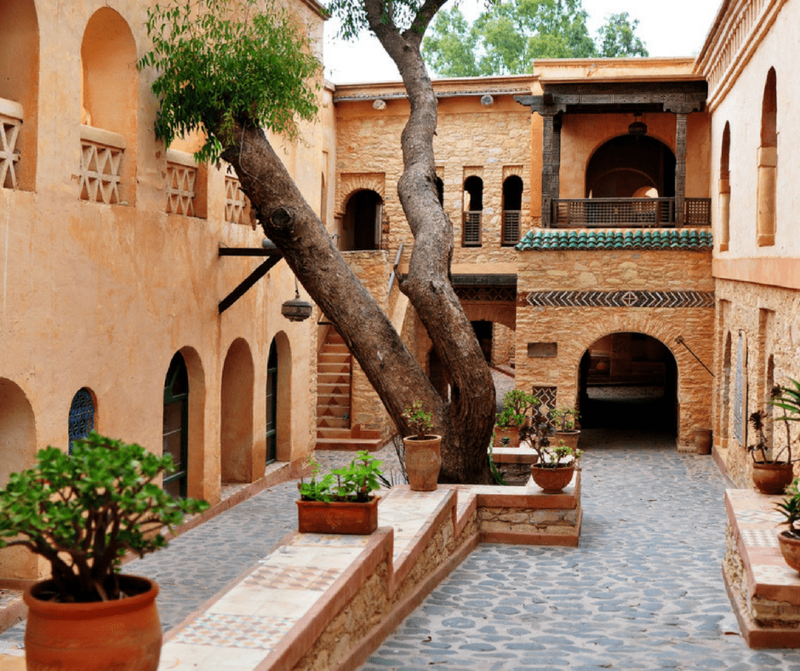 There is bus service from Agadir to Mirleft once daily via CTM bus service. You also may be able to find public buses that are going to Mirleft from the main bus depot in Agadir. 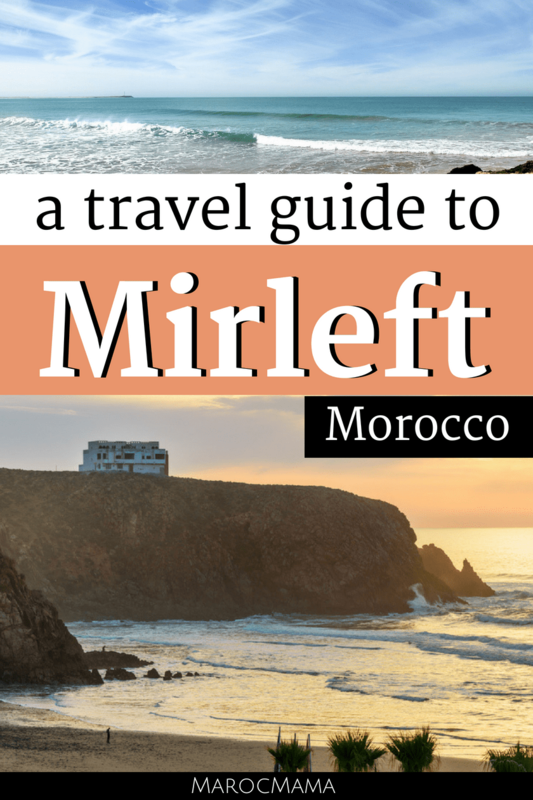 Mirleft is a good place to go if you really just want to kick back and relax. There isn’t a lot to do in town itself but there are a few things to consider if you start to go stir crazy! 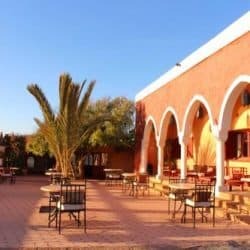 Take a day trip to Tiznit, famous for its hand craft silver items that are more affordable than Marrakech or Essaouira. 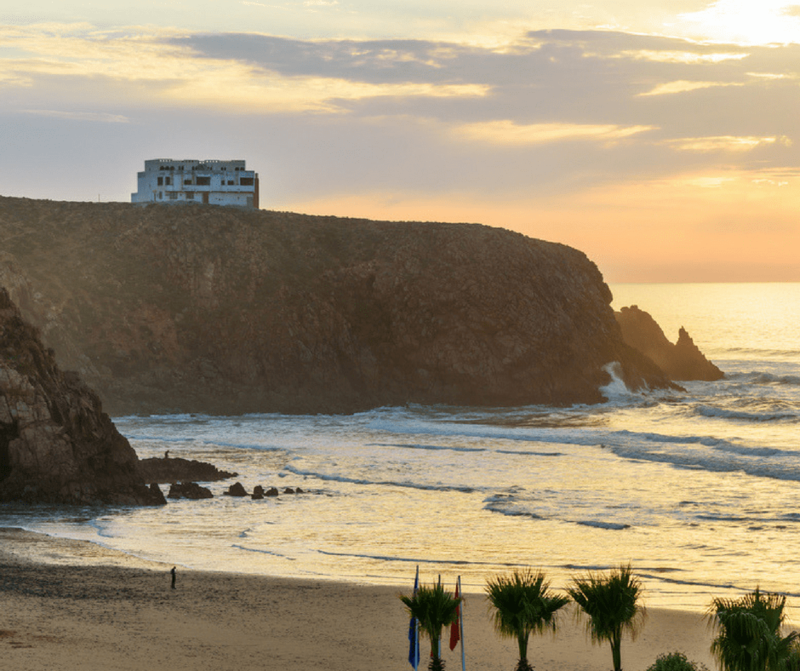 Consider a day trip to Sidi Ifni. Go hiking or trekking on the beach or nearby trails. Hit the water and try out surfing or paddle boarding. Climb up the old Spanish military fort to take in a panoramic view of the town. If you’re there on a Saturday, visit the weekly souk. Converted from a 1930 French Army fort to a relaxing guest house. The place has a unique flavor and overlook the town and the ocean. For a more more luxurious touch and tranquility on your getaway. An art deco maison d’hotes and a direct view over the ocean. With the privacy and convenience of a hotel but charm and welcome of a guest house. This holiday home is a good choice for families or friends traveling together who want a little more space. The townhouse apartment is close to the beach with a roof terrace. 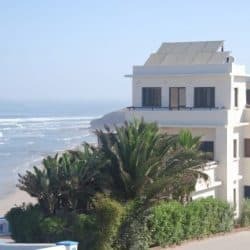 If your journey won’t take you to the south of Morocco, visit Asilah in the north where you’ll also discover a laid back beach community. After reading your article, Morocco is on my bucket list for sure!! I really am interested in Mirleft and Ifni, I prefer to not be around tourists, the locals is who I want to meet and get to know!